FIREFIGHTERS will be asked to step in for busy ambulance officers in Sydney and major regional areas under NSW government plans to meet growing patient demand. The Australian Medical Association and the union representing fire brigade officers are concerned the proposal will compromise patient safety. The NSW AMA president, Brian Owler, said fire brigade officers received first-aid training, but it was nowhere near as advanced as training for paramedics. ”Fire brigade officers are trained to fight fires and the first-aid training they receive is a far cry from what they need to deal with a medical emergency,” Dr Owler said. ”If the ambulance service need more ambulance officers, then that’s what they need to provide. NSW Health recently released a report with a range of recommendations for managing increasing demand on ambulance services. The report, Reform Plan for NSW Ambulance, said the number of ambulance responses increased from 1,149,820 in 2010-11 to 1,183,795 last year. Of the total for last year, 318,070 were non-emergency responses, including patient transportation and attendance at sporting events. NSW Health said there was evidence from Victoria to suggest the fire service could play a role in improving emergency response times and patient outcomes. 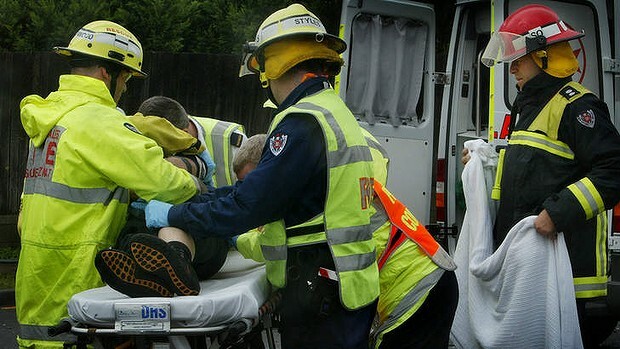 The Victorian government conducted a pilot study in which fire and ambulance services both responded to medical emergencies, including cardiac arrest, and this was found to decrease response times and improve the chances of patient survival. ”There is evidence to suggest that the fire service could play a role in improving emergency response times and patient outcomes through a First Responder Program,” the NSW Health report said. Darin Sullivan, the NSW president of the Fire Brigade Employees Union, said firefighters should be paid for any extra work and the issue was likely to provoke industrial action. The NSW Opposition Leader, John Robertson, described the proposal as ”cost-cutting madness”. ”Instead of hiring extra paramedics and putting more ambulances on the road to meet rising demand, the O’Farrell government is trying to replace them with firefighters who are already being hit with major budget cuts of their own,” he said. Fire and rescue officers already provide first aid in remote areas of NSW and those with little or no ambulance cover. Under the new plan, they will assist in Sydney and major regional centres across the state. The plan also recommends abandoning the requirement for psychological assessment through psychometric testing of prospective ambulance officers. via Firies say they can’t step in for medics.